Idolly Louise Saldivar (23) has been named Miss World Belize 2013. 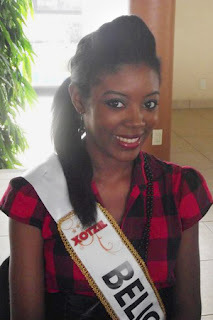 She stands 1.78m tall and will represent Belize at the 2013 Miss World Pageant that starts next month. I definitely need to see more. Not sure if she can place but she seems like a competent delegate!